Buy pallet rack steel decking at Material Handling Solutions. Our solid steel rack decks are an economical and practical way to provide decking on your pallet racks and mezzanines. These decks are perfect for storing heavy objects that canâ€™t be supported by wire decks. It is commonly used for storing archive boxes. Solid steel rack decking is much stronger than wire decking, costs about the same and is cheaper than wood. Its smooth surface allows easy sliding of materials without the danger of damage or splinters. 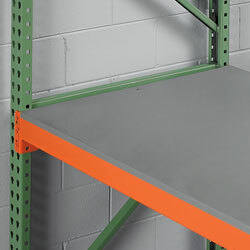 It is fire resistant and it is fast and easy to install because it just drops into racking. We have a variety of capacities available and it can be cut to any length you require. Our open pallet rack decking is another choice we offer. This type of decking is a great choice for increasing fire safety. It allows water to flow through racks from your sprinkler system in the event of a fire. Open area rack decks features uniform strength across entire surface and is tek-fastened to rack to prevent disengagement. Our wire decking is an excellent alternative to wood and corrugated steel decking. It increases fire safety in your facility by allowing flow-through from sprinkler water systems. Check with your insurance company if having wire decks would reduce your premium. There is no dust or debris build-up on the shelves because of the open mesh pattern thereby providing a cleaner work environment. 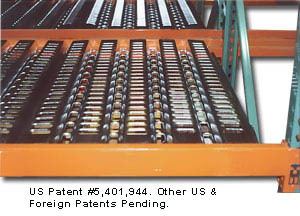 It also prevents damaged pallets and inventory from falling through your racks. Wire decking also provides a better visual of your inventory and helps illumination, air circulation and cooling of your facility. 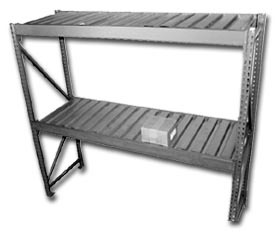 Wire decks give you the options to store items and pallets of multiple sizes. They are maintenance free, easy to install and constructed of durable strong wire mesh. We also have a huge inventory of pallet racks and we can usually quick ship any order within 96 hours. Call us toll free with any questions you may have and one of our specialist will help you find what you are looking for.